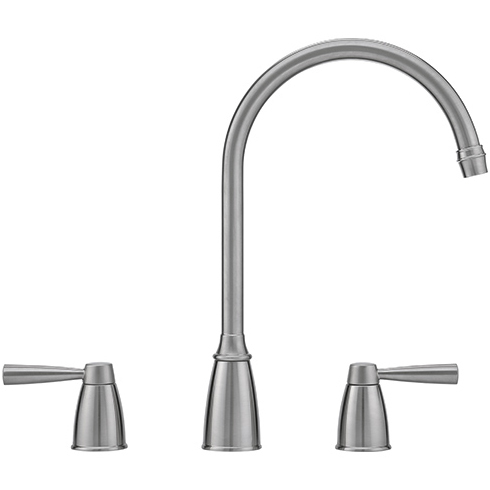 Today’s stylish kitchens require equally impressive taps to match – not only in terms of looks but also function. 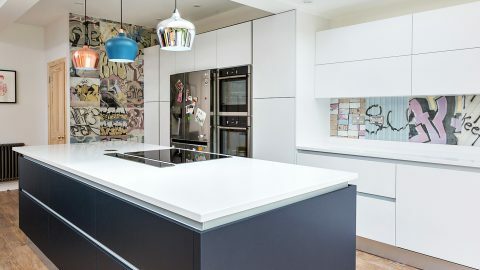 And never before has there been such an impressive range for homeowners and kitchen designers alike to choose from. 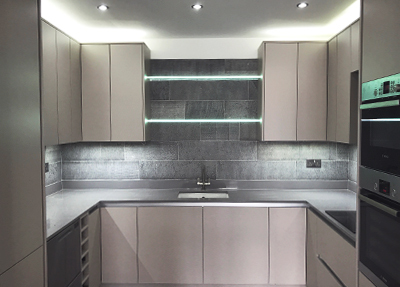 From filter taps which provide instant steaming hot water to temperature sensitive LED taps which change colour depending on how hot or cold the water is, choosing taps these days is no longer a toss-up over whether you want swivel or crosshead taps. 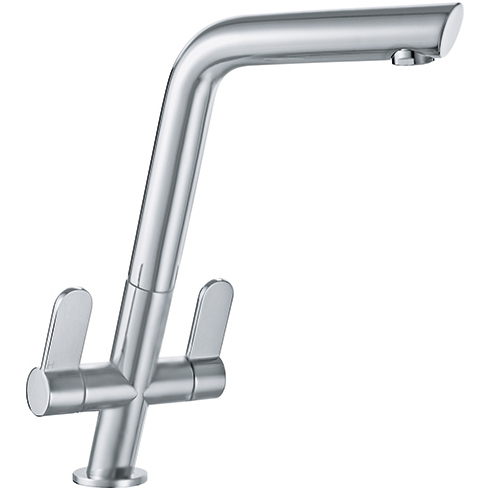 Here at London Kitchen Designer we’re impressed by a number of upmarket tap manufacturers but our favourite is Swiss-manufactured Franke taps. Not only is the quality of the materials and finish top class, but we also love their ingenuity of design. Earlier we mentioned colour changing LED taps. And here’s a fine example right here. 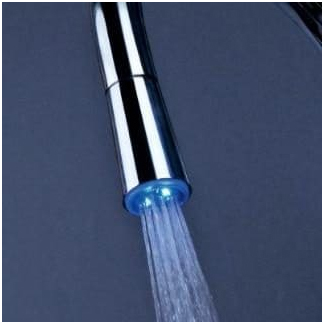 It’s an LED single lever tap which changes colour depending on how hot or cold the water is (the water is red when hot, blue if cold and green for luke warm). 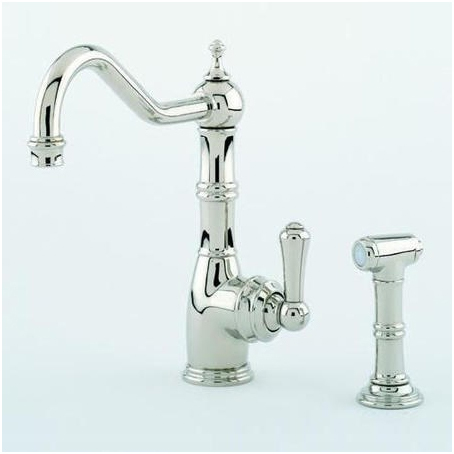 Another favourite manufacturer of the team here when it comes to kitchen tap aesthetics and overall quality is ‘her Majesty’s tap makers’ Perrin & Rowe. This is the company which fits taps in the kitchens and bathroom of the Dorchester and other five star luxury hotels, as well as Buckingham Palace! 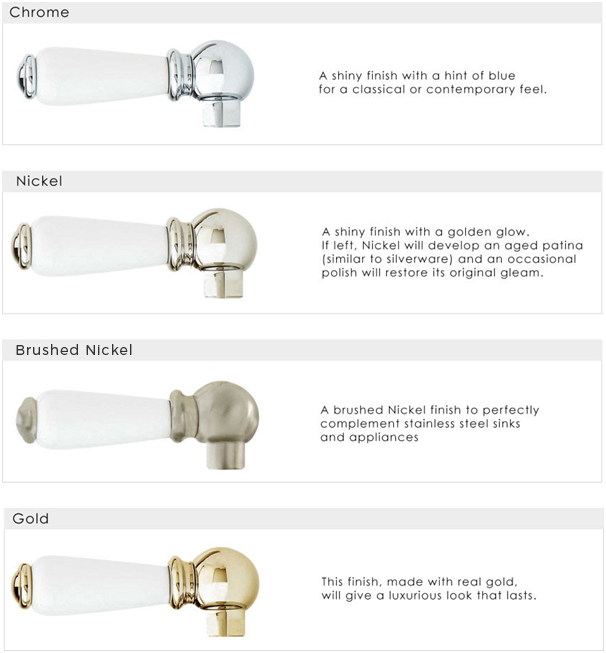 When it comes to choosing taps we can only advise of course; the ultimate say is yours (which is how it should be). 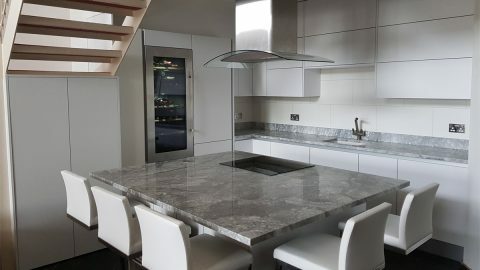 However, we can point you in the direction of our kitchen tap suppliers waterline.co.uk and where you can spend as long as you like online checking out the designs and weighting up the merits of one tap against the other, in the comfort of your own home. How to Tell Which Hob is Best for Your Kitchen DesignCan you Handle a Handle-less Kitchen?